The Rural Resilience Program defines resilience as a 'process' rather than an outcome or personality trait and acknowledges that levels of resilience among farmers and their families can be impacted by adverse events. 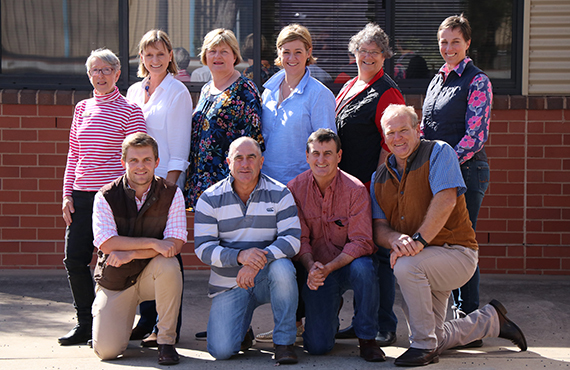 The team works proactively in partnership with farming communities and service providers across NSW to strengthen networks, exchange information and deliver relevant initiatives that build personal and business resilience skills and knowledge, enabling people to move forward in a positive direction. Create opportunities to connect you with support services and others in farming communities. For example we partner with other services to support local Rural Support Networks to deliver more holistic, coordinated and targeted initiatives tailored to your needs. We also support new and existing farming groups to achieve their objectives. Provide information, tools and development opportunities that build your skills, knowledge and experience. Not only can we connect you to existing opportunities, we also facilitate workshops such as our SOFT, TUFF and Positive Farming Footprints (see below). Support you and your family while recovering from adverse events and help you prepare for the future. The Rural Resilience Program can support your recovery from events such as bushfire, flood, drought, pest and disease. We also support preparedness initiatives. Listen to your farming needs and communicate these directly to policy makers. We also engage in relevant research projects. In summary, we listen to our farming communities, learn about your issues and needs and also about what other services and opportunities are available. Where appropriate we link farmers into existing services and initiatives. If particular services do not exist then wherever possible, we work with our partners to create new initiatives and opportunities. RRP conducted a statewide Drought Preparedness Survey in 2015. See the summary of results (PDF, 194.78 KB). The July 2014 - June 2015 annual RRP report card (PDF, 951.31 KB) creates a benchmark for measuring the impact of the program into the future. This workshop will help you identify barriers to a fulfilling and profitable farm family business. You will learn about the types of barriers, how they impact on family wellbeing and business performance and identify your own strengths and weaknesses. Stop, look and listen. Be aware of sneaky social barriers. Good family communication – think before you speak. What’s your business plan – core farm management elements. Leadership, balance and setting a new ‘DNA’ for your family. learn new skills in a fun, relaxed, supportive environment. Contact details, links and more information for services that Support primary producers. Pip Job, Senior Project Manager with NSW DPI discusses techniques to become effective communicators that improve family communication. She includes lots of practical tips and strategies to manage difficult conversations which often occur in a family business. This engaging video was filmed at a Grains Research and Development Corporation (GRDC) Farm Business Update, Parkes in 2017.